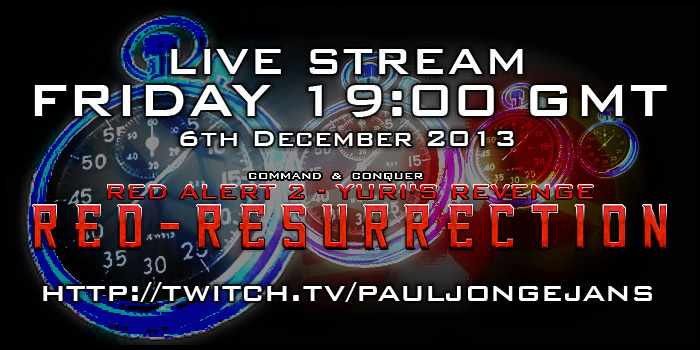 Red-Resurrection's Mutliplayer Beta 2 release date of 11/12/13 is fast approaching! Parts of the huge promo image are being released daily and can be viewed in full by clicking the image below. Can you guess which famous European city is under siege by the Soviets? Just before that, this Friday 6th December 2013 at 19:00 GMT we'll be doing the last stream BEFORE release, hosted as usual by Hecthor Doomhammer on his Twitch channel. Edited by OmegaBolt, 02 December 2013 - 11:01 PM.